This Bundle is Perfect for Valentine’s Day. 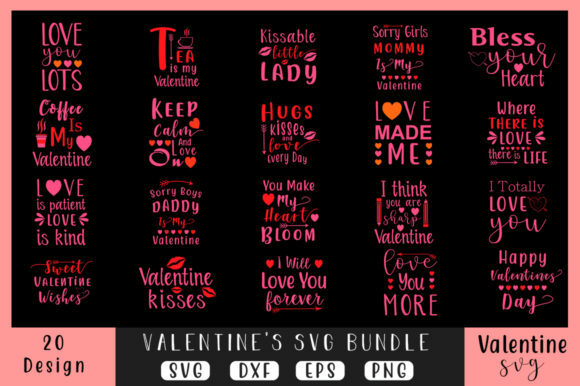 This Bundle included 20 Valentine’s Day Quotes Design. Possible Uses for the files included: T shirts, Mugs, Scrab booking, Invitations, Card Making, Vinyl, Decals, Cricut Cutting Machines, Photos, Silhouette, Poster!